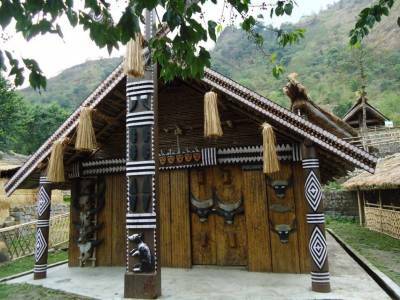 Naga Heritage Village is popularly known as the Kisama Heritage Village and located about 10 kms from Kohima. 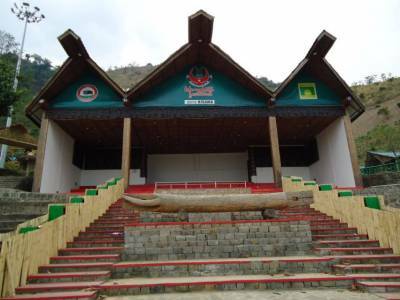 The objective of the heritage village is to protect and preserve all ethnic cultural heritages of different tribes of Nagaland, apart from hornbill festival this village serves as a stage where different functions take place throughout the year. 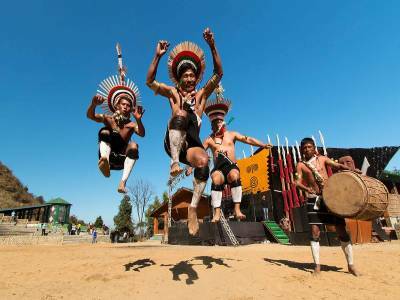 The Hornbill festival is celebrated every year in the first week of December, during this time this village acts as a platform for various tribes of Nagaland to showcase their cultural heritage. 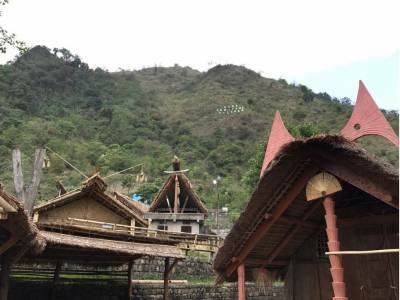 This complex consists of 16 huts of each tribe built in their traditional form, songs and dances of different tribes are the main attraction here, in the bamboo pavilion handicrafts of different tribes are sold. In Naga Heritage Village, visitors can also purchase bead Jewellery, wooden and bamboo items, cloths, natural honey, different types of cutter and chopper etc. Every tribals in front of their huts sell their authentic food items mainly pork and rice cooked and served in their traditional ways, rice beer is another common thing served in bamboo mug and price was reasonable. Outside the heritage complex there were World War II museum, Horti-scape where beautiful flower exhibition was going on. 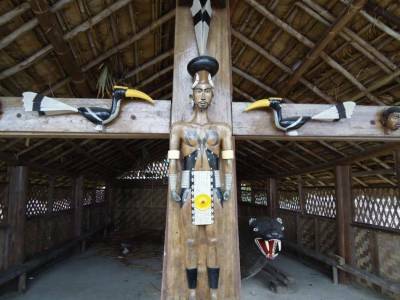 Get quick answers from travelers who visit to Naga Heritage Village.